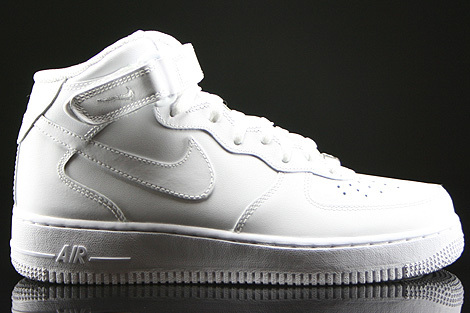 This version of the Nike WMNS Air Force 1 Mid comes this time in a complete White colourway. 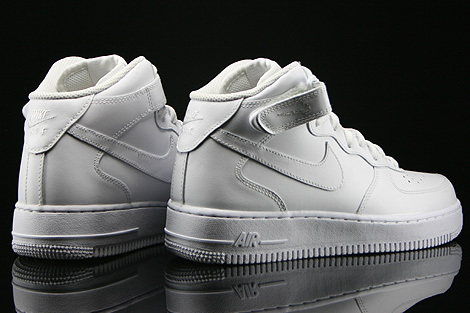 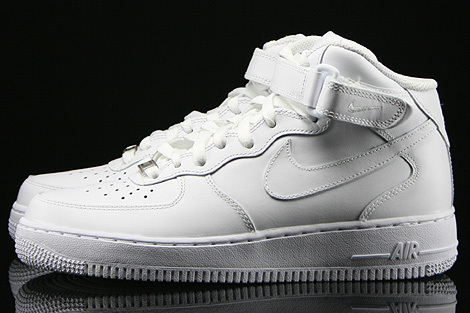 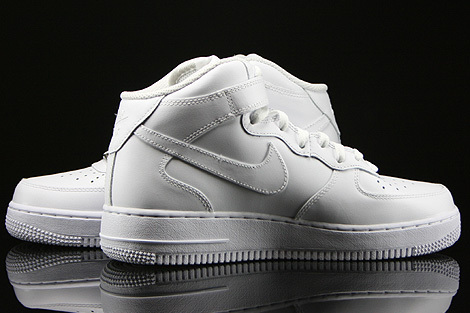 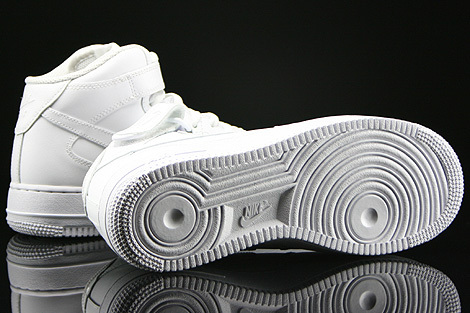 It is made out of smooth white leather with a great white midsole and a white outsole, white laces and a white swoosh. 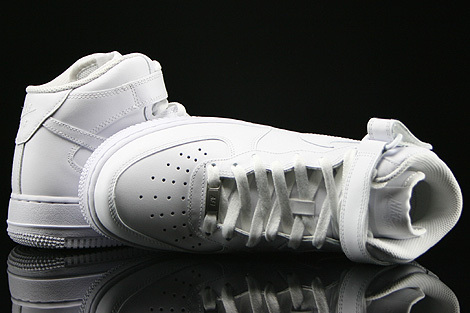 The heel area is also white. 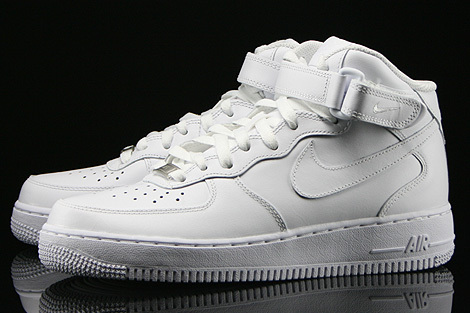 Comes with a silver Nike Air Force 1 lace lock.